…especially when you’re running sort of bad. 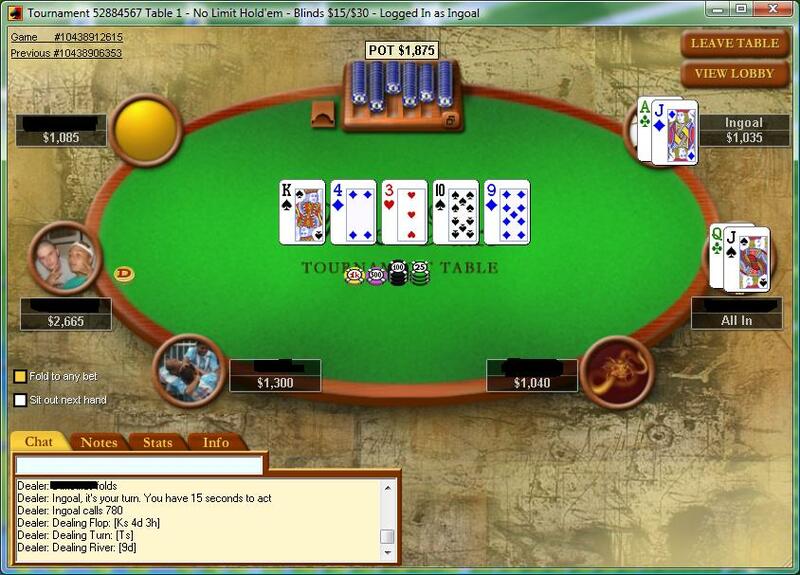 I started the session with some HU tonight…and for the first time in a long time a won a match quickly. No surprise that it went downhill from there. Played another HU match and lost that one. Then I jumped into a six handed SnG. Man, those are really killing me these days, it seems that the donkeys can’t wait to jump into them. It’s just beautiful when you look at their sharkscope stats and they’re all so fishy that you can literally smell it – until they suckout on you though…surprise surprise. I busted out in fifth when I played my nutflush draw aggressively – that’s the sixth in a row that doesn’t hit, oh well. All good there, it happens. I jump right into the next one and I play my usual tight game early. 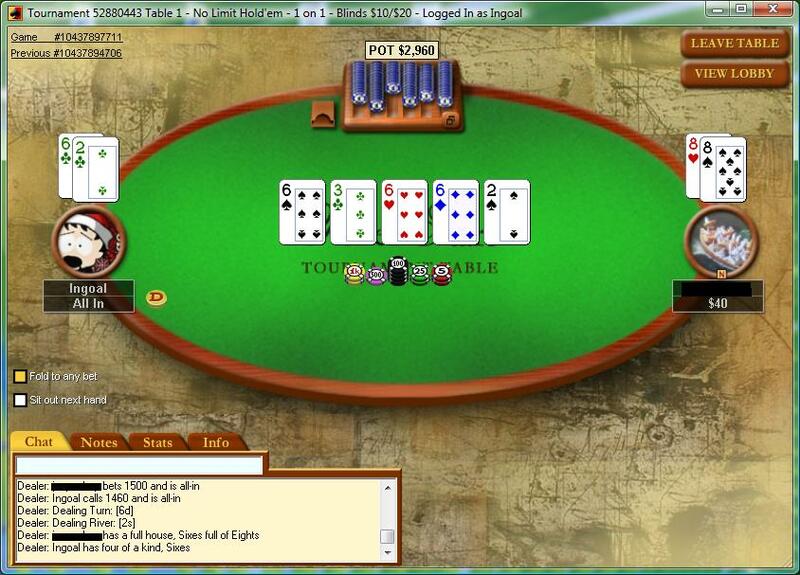 After folding the first orbit I get some hands and I raise from UTG+1 with queens, cbet on the flop get’s me the pot. Next hand I look down at AQ s00ted in the cutoff…raise…the same donk calls again…flop comes Q high…I cbet after his check and he folds again. Next hand I look down at AJo on the button…folded around to me…I pop it up again…the same donk decides that he’s going to mix it up this time…he pushes from the SB and the BB folds…action is on me. I replay the last few hands in my mind and I come to one conclusion: he’s fed up with my “constant”/consecutive raises and he wants to take a stand, most certainly with a medium-garbage hand…I decide to call and yes indeed, he got the whole 3 outs with his QJo…lol…I’m still confident after the king high flop…then the usual bs happens…runner runner…ty very much….god the deck loves donkeys….